My friend Kate and I found our selves in a conversation today about Tycho Brahe. Through Wikipedia I learned many interesting and unlikely details about his life. 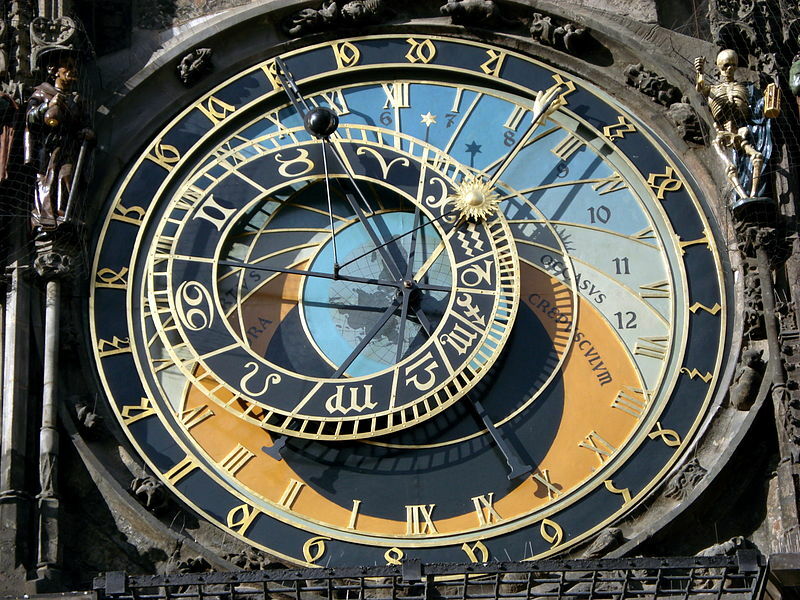 His body currently lies not far from the Prague Astronomical Clock which is also interesting and unlikely. 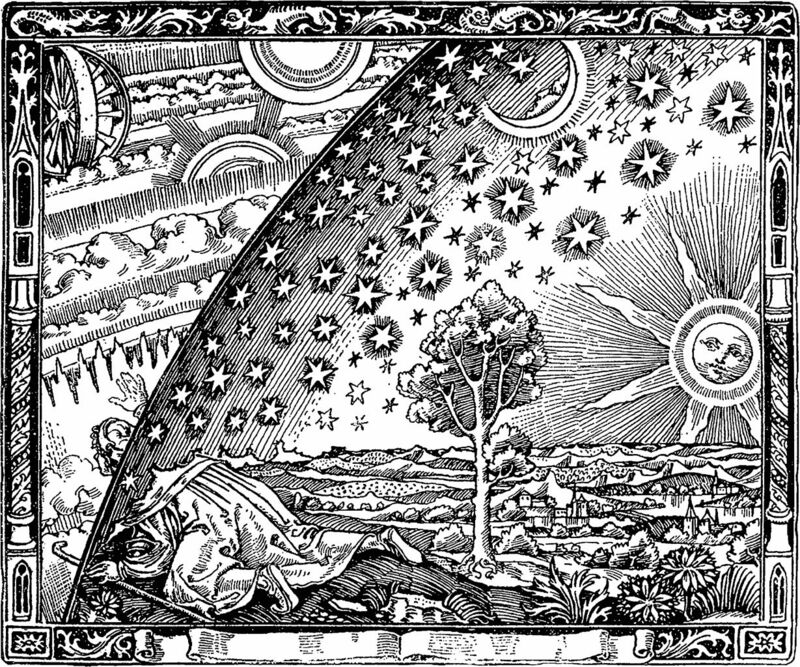 “A naïve missionary of the Middle Ages even tells us that, in one of his voyages in search of the terrestrial paradise, he reached the horizon where the earth and the heavens met, and that he discovered a certain point where they were not joined together, and where, by stooping his shoulders, he passed under the roof of the heavens.” Camille Flammarion, L’atmosphère: météorologie populaire, 1888. Carmen figuratum, Biblioteca Apostolica Vaticana, 12th century.